Celine Dion has added further dates to her first US tour in over 10 years. Due to pre-sale demand, the Canadian vocalist has confirmed extra shows at Montreal's Bell Centre on September 30, Toronto's Scotiabank Arena on December 10, Boston's TD Arena on December 14, and Miami's American Airlines Arena on January 18. She's also confirmed four new dates in the New York area, including two nights at the Barclays Center in Brooklyn on February 28 and 29, the NYCB Live's Nassau Coliseum on March 3, as well as the Prudential Center in Newark, New Jersey on March 7 and 8. The tour will get underway with two dates at the Videotron Centre in Quebec City, Quebec on September 18 and 20, following her residency at Caesars Palace, Las Vegas. After a handful of shows in Canada, Dion will head to the United States for shows up to mid-December. A second leg will commence in early 2020. Tickets go on general sale from 10am local time on April 12. Click here to compare & buy Celine Dion Tickets at Stereoboard.com. 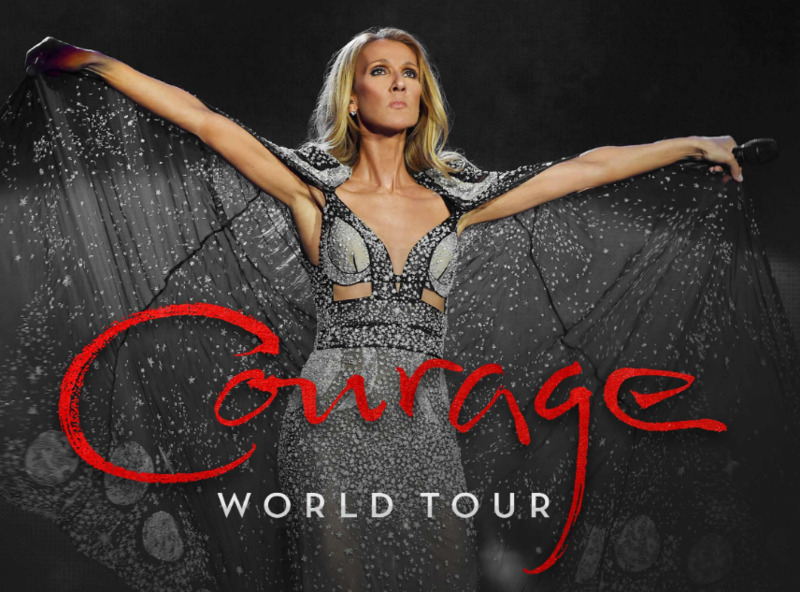 Celine Dion will launch her Courage World Tour this fall. Celine Dion has lined up a massive show in London next summer.